Works fine here. Might be just your setup. 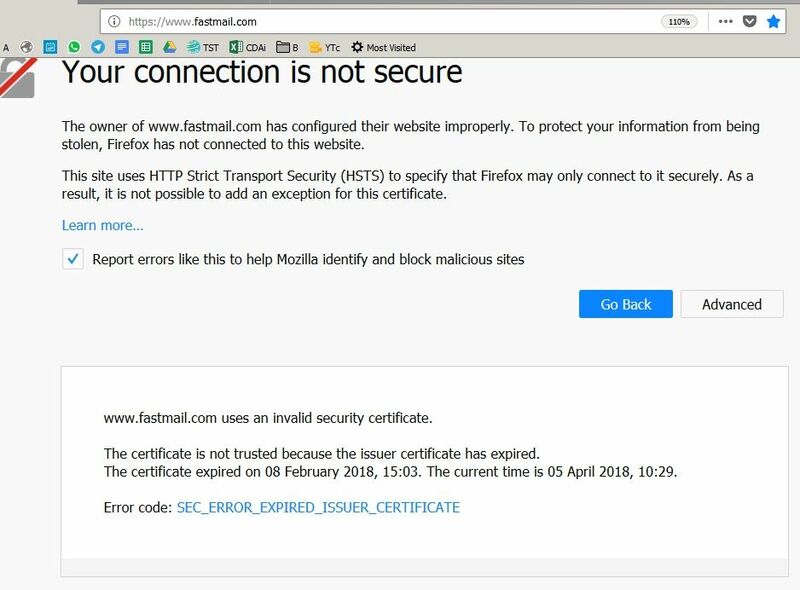 Note that the message says the issuer certificate has expired (not FastMail's certificate). That suggests security information in Firefox is out of date. If you cannot easily figure out the problem with Firefox, I would suggest completely uninstalling Firefox (including deleting the Firefox folders) and doing a fresh install. I suspect something is broken such that some required updates have not been correctly applied. Check that the PC clock is set accurately to the correct date and time. Scan your PC for malware. Infections and registry corruption can cause this type of error. Be sure you are using the latest version of Firefox and update if needed.